Thanks to Casey-Lee from Live Love Nourish for this great recipe. You can see more of her recipes at her website here. 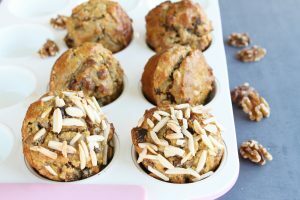 Made with nuts and organic dried fruit with a hint of orange and spice these healthy muffins are a delicious treat to nourish. Note: This recipe is free from gluten, dairy and refined sugar. In a mixing bowl combine eggs with orange zest and juice. Mix in remaining ingredients and combine well. Pour mixture into a greased muffin tray. 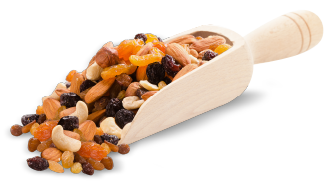 Sprinkle almonds on top (optional) and bake in oven for 20 – 25 minutes or until golden and cooked through. These muffins are suitable to freeze. You can also top these muffins with coconut before baking.